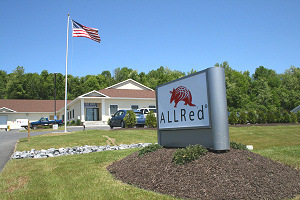 About ALLRed and Associates Inc. Welcome to the internet home of ALLRed and Associates Inc.
We're a diversified engineering and product-development firm and a premier North American fabricator of high-performance composite shapes and structural components in carbon fiber-reinforced plastic (CFRP) and other advanced composite materials. We also produce woodworking equipment and specialized components to enhance stringed musical instruments. Through our DragonPlate® brand, we manufacture shapes and complex structures using advanced-composite materials reinforced with carbon and aramid fibers. Through our Element6 Composites® brand, we offer design, engineering, and prototyping services in advanced composites. Through our Armadillo Tactical Gear™ brand, we produce lightweight tactical gear in advanced composites for police and military organizations. Through our Gemini™ Carving Duplicators brand, we build and sell machines to rapidly and accurately reproduce designs in wood for musical instruments, furniture, gunstocks, and architectural elements. Through our Gemini™ Musical brand, we develop and produce specialized components in advanced composites to enhance the performance and playability of high-quality stringed musical instruments. As an engineering-driven, commercial-composites company, each shape or finished component that we produce in our ISO 9001®-certified manufacturing facility is strong, practical, well thought out, simple to use, and fairly priced. We are constantly expanding our product line to support the needs of emerging technologies and to empower engineers designing such products. A significant portion of our design and production business is custom work (through Element6 Composite Services and DragonPlate advanced composite shapes and structures). Our engineering team takes pride in and has a long history of developing unique solutions to solve challenging engineering problems for customers working in corporate and government engineering organizations. In all of our business dealings, we work closely with our customers to clearly identify product needs and to optimize product design and manufacturing to best support customer goals. High-level of support we provide our customers before, during, and after a sale. ® DragonPlate, and Element6 Composites are registered trademarks of ALLRed & Associates Inc.
™ ALLRed, Armadillo Tactical Gear, Gemini Carving Duplicator, and Gemini Musical are trademarks of ALLRed & Associates Inc.
® ISO 9001 is a registered trademark of the International Organization for Standardization.